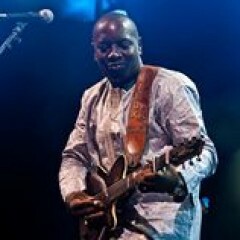 Have seen Vieux Farka Toure every time he visits London and he is getting better and better every time. Merci Monsiuer Toure, come back to London soon. "Magic from Vieux Farka Toure"
Incredible performance from three musicians who loved every single moment. Couldn't help but dance and dance!